NOVACERT is certified by the Greek authorities as testing facility for conducting GEP biological trials in all crops. With high expertise in plant health, our company undertakes to perform high quality experimental field and greenhouse tests in accordance with the principles of good efficacy (GEP) to assess new – tested, and existing pesticides. The Company members’ long experience and in-depth knowledge of all Greek Territory crops are the competitive advantages ensuring high value to the services we provide to our customers. The Efficacy assessments NOVACERT provides, refer to plant protection products such as fungicides, insecticides, herbicides, miticides, nematicides, soil disinfectants, especially nutrition – lubricating compositions as well as plant growth regulators, attractants of insects, beneficial insects, traps (pheromone, food traps), biological control substances etc. Moreover, NOVACERT conducts specialized field studies, such as: resistance evaluations, effect studies on beneficial insects, yields and crop quality evaluations, as well as and post-collection application of plant protection products testing. For each experimental test, the guidelines of EPPO (European Plant Protection Organization) are strictly complied with, for all periods and stages of the experimental study, starting from tracking and planning the appropriate field, spray applications of testing products, assessments, until the final report. NOVACERT has established standard operating procedures, which are strictly observed and reviewed whenever necessary, with a view to better planning and completion of each experimental test. The company has all the necessary equipment to optimally implement any application required by the protocols. Additionally, for each experimental trial, NOVACERT offers: preparation of the experimental protocol, field diary, processing of experimental data, conducting statistical analysis and presentation of results at any stage of the test requested by the customer. Subsequently, NOVACERT offers the final report elaborated with up to date ARM software (Agricultural Research Manager) or any other software required to meet the needs of each customer. All studies conducted by NOVACERT are strictly confidential, providing constant updates throughout the trial period to clients. NOVACERT is certified according to ISO 9001: 2000, and ISO 27001 for information and data security. The headquarters of the Experimental Unit are located in Alexandria, Imathia. This advantageous location, as combined with the long experience of our staff in the majority of cultures, provides us the possibility of identifying the most suitable experimental field, in all regions of Northern and Central Greece. Therefore, the company can cover experimental tests on all crops, such as field crops (cotton, wheat, barley, corn, sunflower, soy, potatoes), outdoor or greenhouse vegetables (tomatoes, cucumbers, peppers, eggplant, zucchini, beans, carrots, cabbage, lettuce, onions, leeks), stone fruits (peaches, nectarines, plums, apricots, cherries), pome fruit (apples, pears) and stored products. 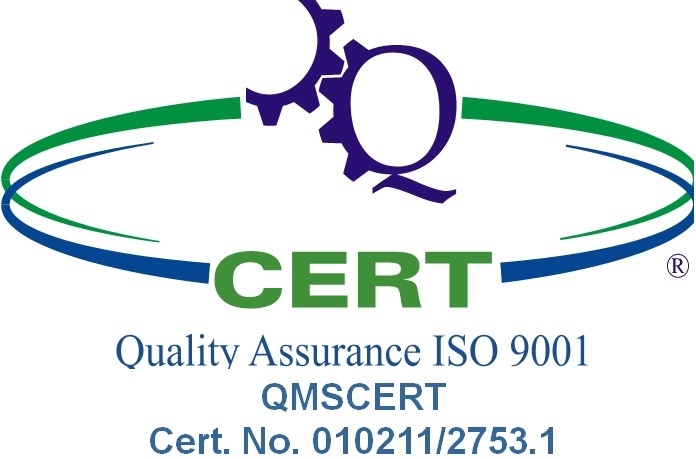 In 2011, NOVACERT was certified in accordance with ISO 9001: 2008 Quality Management System. In 2014, NOVACERT was certified in accordance with ISO / IEC 27001: 2005 Quality Management System Information Security Management System (ISMS), on the management of risks to information security.